A former MP believes the ex-president had an obsessive phobia of assassination. 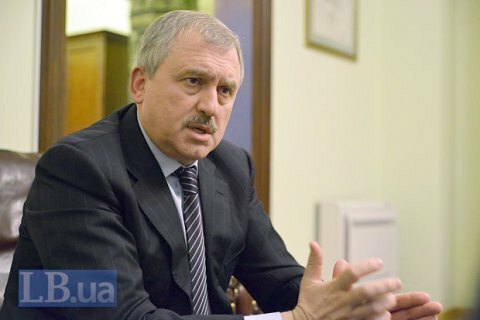 Former Ukrainian MP Andriy Senchenko has expressed confidence that the appeal of the former Ukrainian president to Volodymyr Putin to send troops in Ukraine was written on order of the Kremlin. "It is quite clear that this statement was ordered by the Kremlin," Senchenko said on Thursday as he testified in court to witness in an in-absentia trial over Viktor Yanukovych. "The contents of the appeal, in fact, contradicts the previous agreement that Yanukovych has signed [with the opposition on February 21, 2014 with the opposition with the participation of international mediators], because that agreement recognized that there is a serious crisis that needs resolution. Meanwhile, the 1 March appeal contains unambiguous, completely untrue accusations, for example, about persecutions on political and linguistic grounds in Crimea and Donbas," the witness said. In his opinion, the appeal was aimed to justify the sending of Russian troops into Ukraine. "This document was meant to give Putin the ground to ask the Federation Council to give consent to sending in Russian troops into Ukraine," Senchenko said. The former Ukrainian lawmaker said that Russia may have long prepared the aggression against Ukraine, including the annexation of Crimea, and Yanukovych could not be unaware about that. Senchenko also commented on the former president's complaints that he was in danger in Ukraine and hence had no choice but to flee. He stated the belief that the former president was paranoid ever since he was the governor of Donetsk Region. "I got the impression that he had an obsessive phobia [of assassination]. I think it also played a role in his decision to flee," said Senchenko. Senchenko was the sixth witness questioned in the Yanukovych high treason trial after former Prime Minister Arseniy Yatsenyuk, incumbent Interior Minister Arsen Avakov,Ukrainian Navy Commander Ihor Voronchenko, his aide Maryna Kalenyuk and MP Yuliy Mamchur.